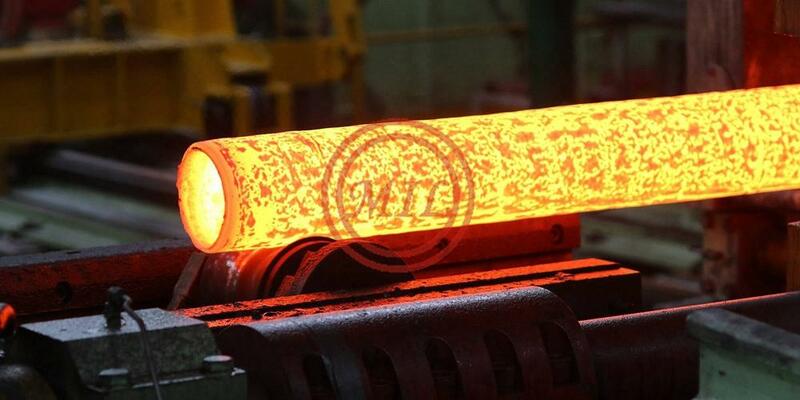 The production process for seamless pipe begins by heating a steel billet to about 2250° F. The red-hot billet is rotated and drawn by rolls over a piercing rod, or mandrel. The action of the rolls causes the metal to flow over and about the mandrel to create a hollow pipe shell. 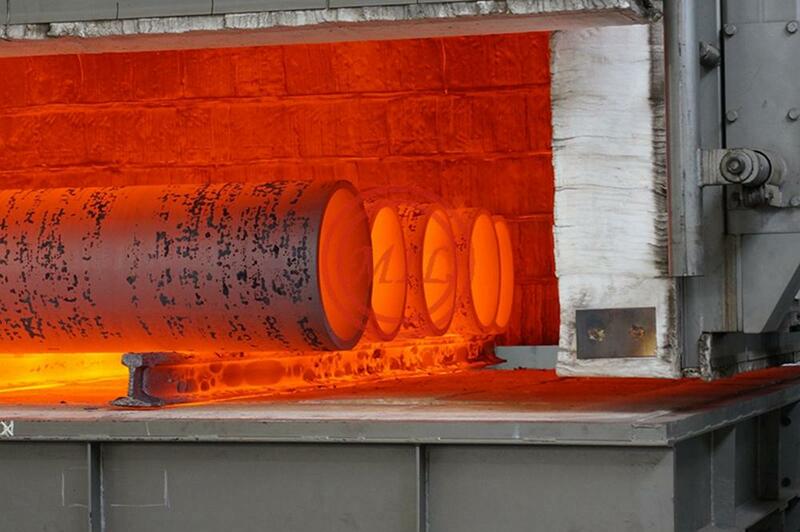 After reheating, the shell is moved forward over a support bar and is hot-rolled in several reducing/sizing stands to the desired wall thickness and diameter. 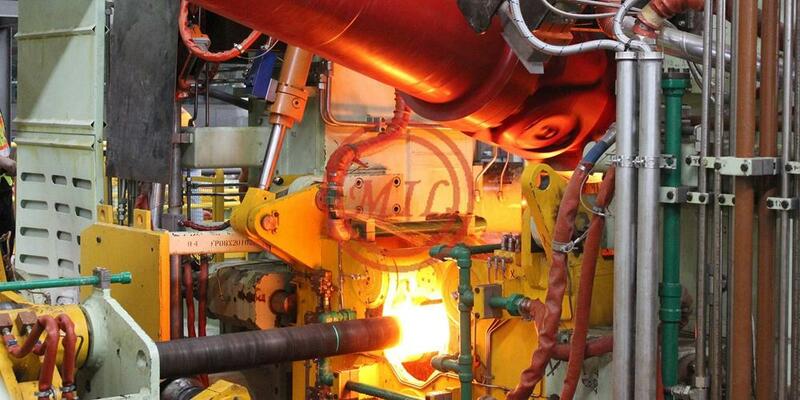 The pipe, which has grown significantly in length during the piercing and sizing processes, is then cut into sections and conveyed across a cooling bed to cool slowly in the air. It then receives whatever finishing processes are needed to meet customer requirements. 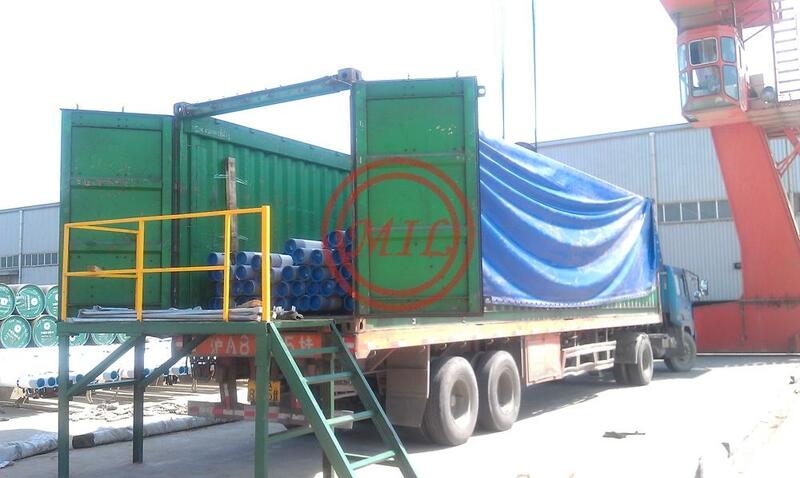 EN 10208-1:2009, Steel pipes for pipelines for combustible fluids - Technical delivery conditions - Part 1: Pipes of requirement class A.
ISO 10543:1993, Seamless and hot-stretch-reduced welded steel tubes for pressure purposes - Full peripheral ultrasonic thickness testing. ISO 21329:2004, Petroleum and natural gas industries - Pipeline transportation systems - Testing procedures for mechanical connections. - 1st edition. 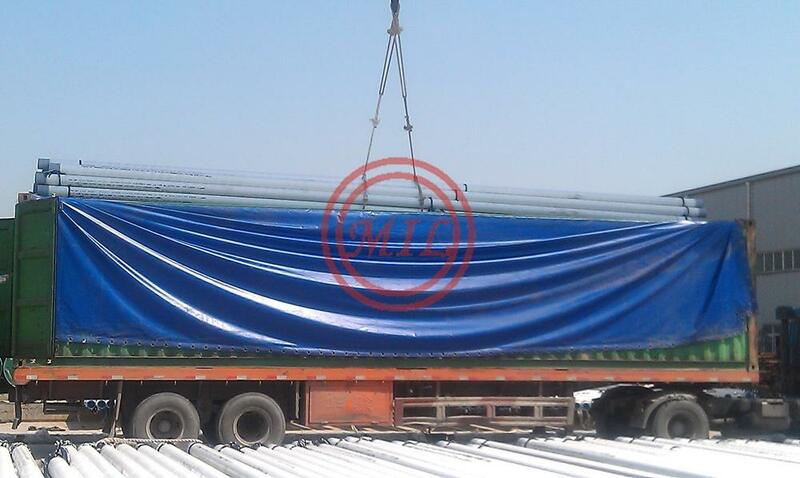 GOST 8732-78 - seamless hot-deformed steel pipes,manufactured on the outside diameter, wall thickness and length. 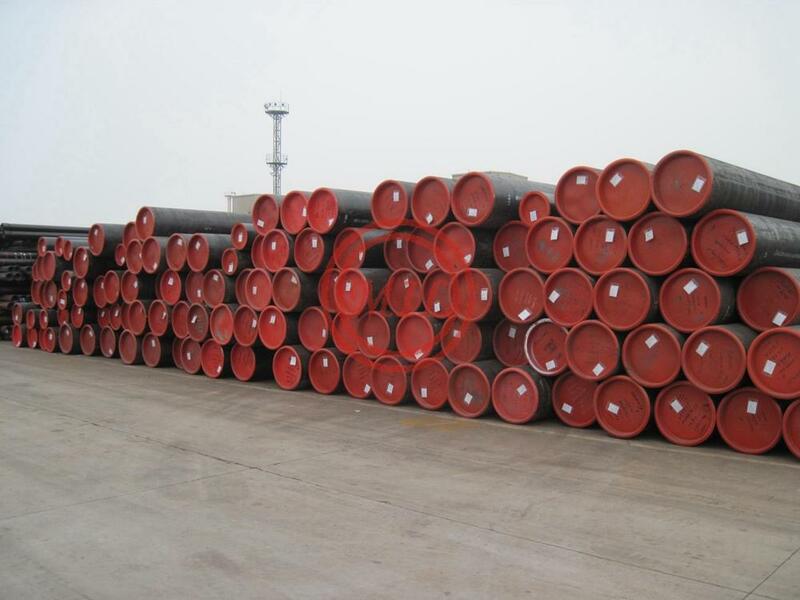 Specifications︰ Sour Service Line Pipe series are able to used in the environment containing H2S, CO2, H2S+CO2 and chlorine ion and other corrosion medium.This type of acid resistance line pipe have a higher performance requirements than normal type of line pipe. 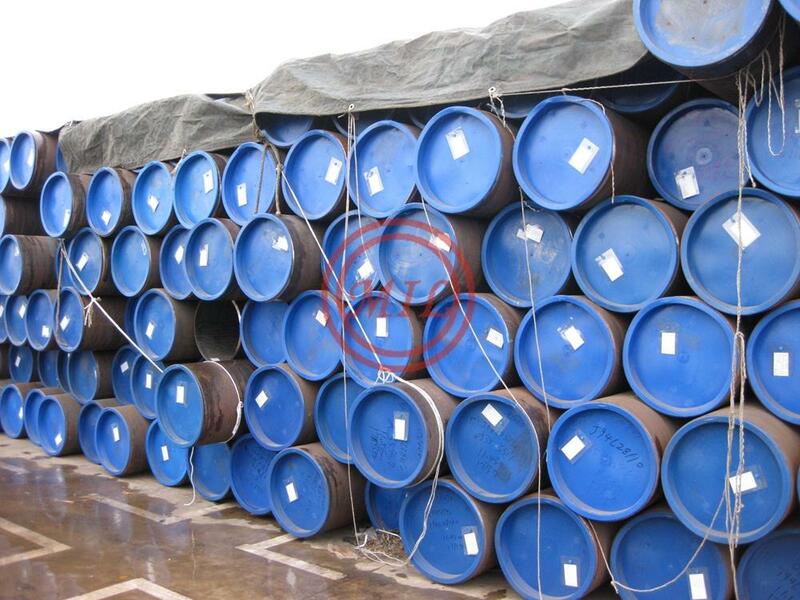 It has good anti corrosion ability, mechanical performance, hardness, break toughness, fatigue resistance, weld nature, crack prevention ability. 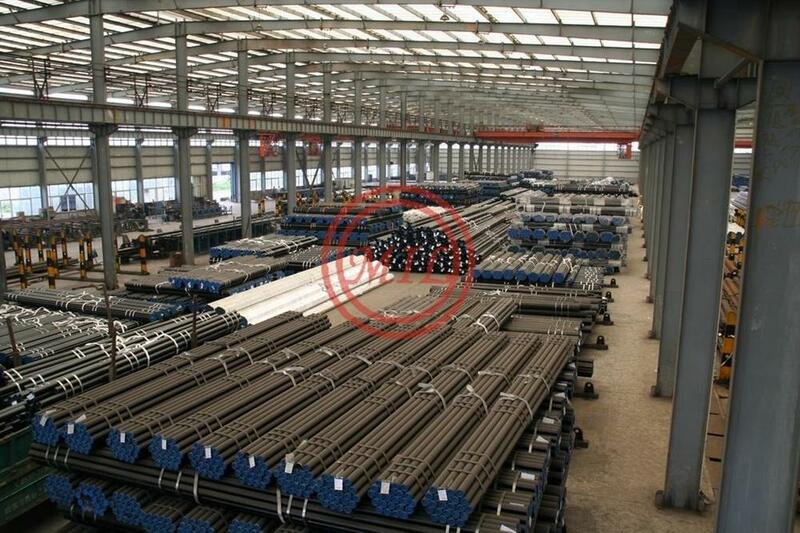 Therefore, it not only can be used as the land transmission pipe line, but also as the sea bed transmission pipe lines. 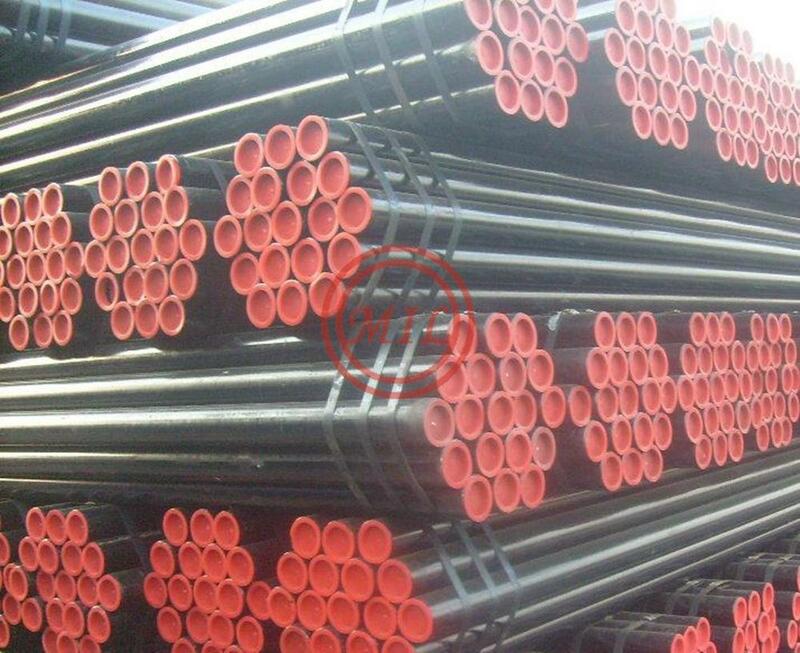 The Acid Resistance Line Pipe are produced from the purified steel, it have very low sulphur, phosphor. 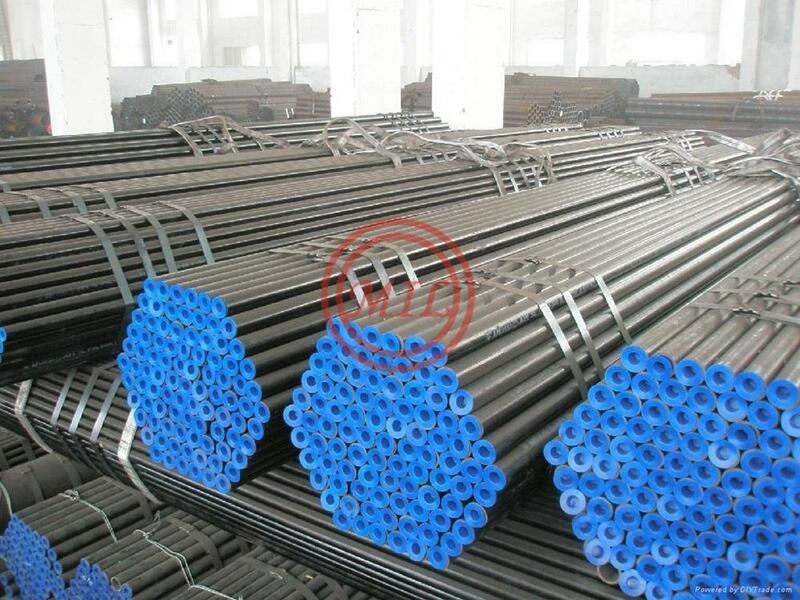 The acid resistance line pipe have effectively controlled the residual elements the Cr, Mo, Ni and other alloy elements content are added in the steel to guarantee the toughness of the steel while improving the quench penetrating characteristics and other performances. 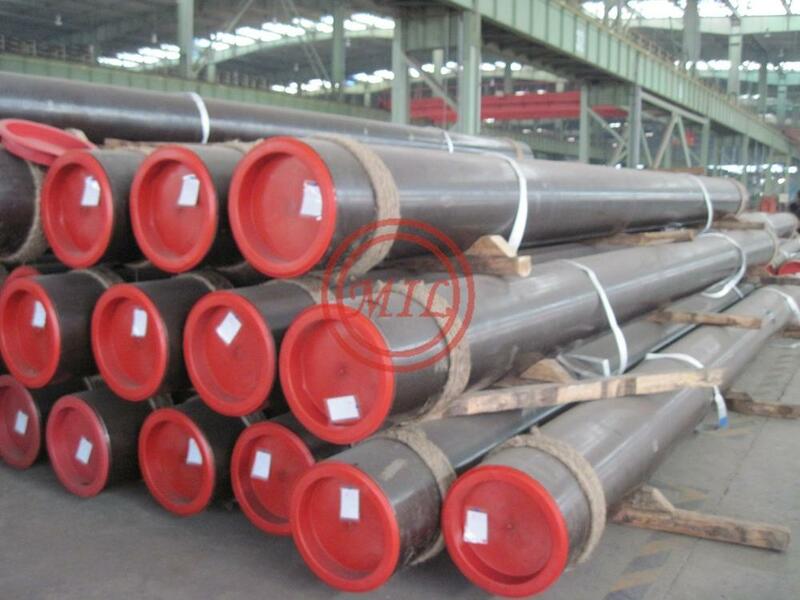 The control to the crack sensitivity coefficient and carbon equivalent have been controlled strongly for this pipe, so as to prevent the occurrence of the welding cold cracks, therefore it have very good welding ability.